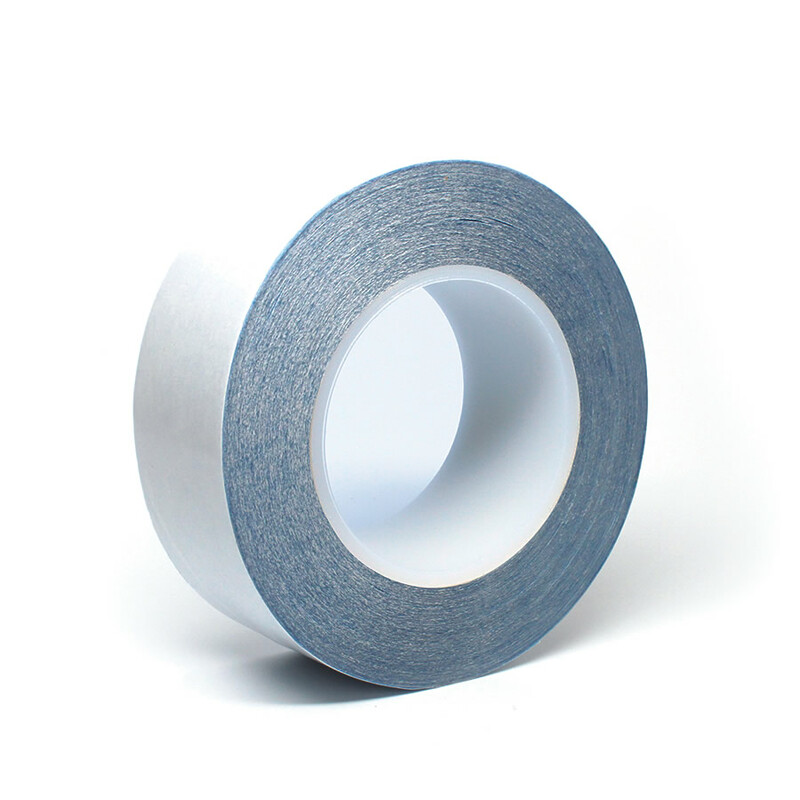 Here is a bright blue, double-sided tape that is designed for high speed flying splices. It has excellent wet-out properties to materials such as polyethylene, polypropylene, loosely woven fabrics, and low energy films. This product features a thick adhesive layer on both sides and it increases production efficiency. A tape specifically engineered to separate cleanly during the splice without any visible fibers. For use with laminators, coaters, and other converting operations.